A new critical edition of 7th (13th) century sufi ‘Afīf al-Dīn al-Tilimsānī’s Ma‘āni al-asmā al-ilāhiyya (The Meanings of the Divine Names), a book written on his theory of Divine names founded on the names of Allah and Raḥmān, has been published by ISAM. The book critically edited by Dr. Orkhan Musakhanov has been published as part of the project of Late Classical Period. 7th (13th) century is a century when authors such as Muḥyiddīn Ibn al-‘Arabī, Ṣadr al-Dīn al-Konawī, Ibn al-Fāriẓ and Mawlana Jalal al-Dīn al-Rūmī who developed traditions by their works lived. ‘Afīf al-Dīn al-Tilimsānī was one of the important Sufis of 7th (13th) century by the books he wrote, by his life within the triangle of the cities of Konya, Cairo, and Damascus, and by the relationships he established. l-Tilimsānī who wrote commentaries on the four Sufi classics, i.e. 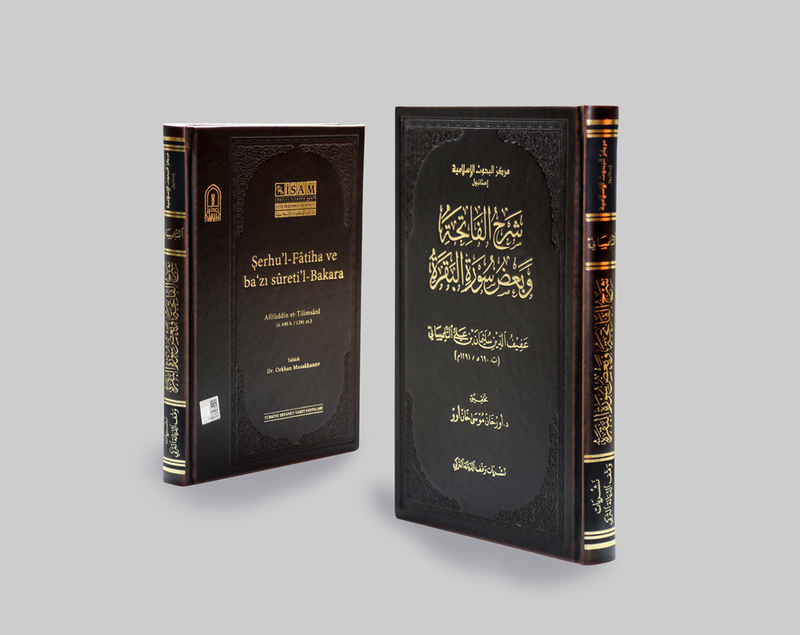 ‘Abd al-Jabbār al-Niffarī’s (d. after 354/965) Mawāqif, ‘Abd Allah al-Harawī’s Manāzil al-sāirīn, Ibn al-Fāriẓ’s Tāiyya and Ibn al-‘Arabī’s Fuṣūṣ al-ḥikam, wrote his books Sharḥu al-Fātiḥa and Ma‘āni al-asmā al-ilāhiyya before authoring those commentaries. His book Ma‘āni al-asmā al-ilāhiyya which was published for the first time is an important reference for the researches on Divine names as a book written on the theory of Divine names founded on the names of Allah and Raḥmān.